Caption slip reads: "Photographer: Hecht. Date: 1951-10-01. Assignment: World Series watchers. 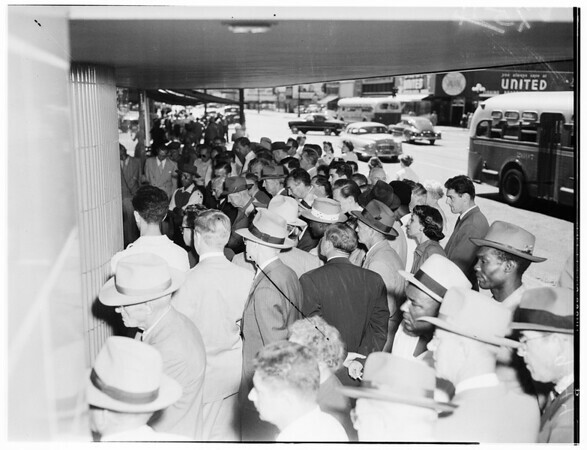 128/129/124/125: Crowds viewing the world series at Eastern Columbia store at 9th and Hill Streets".